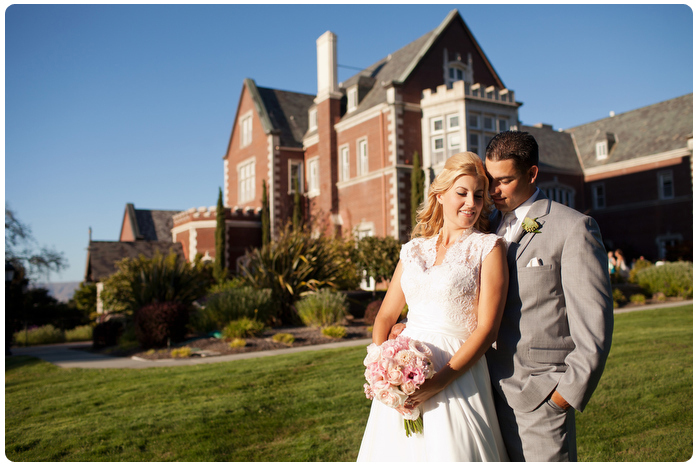 Kohl Mansion in Burlingame is a distinct and grand venue that hosts a variety of events. Elegant furnishings, streaming natural light, English rose gardens, and a perfectly manicured lawn, all help to make Kohl Mansion a breathtaking setting for a wedding or reception. You can visit Kohl Mansion online at www.kohl-mansion.com. We had the honor of helping Natalie and Anthony design their wedding and provide them with the furnishings they required for this auspicious setting and magical day. The bride went with our pale pink linens. 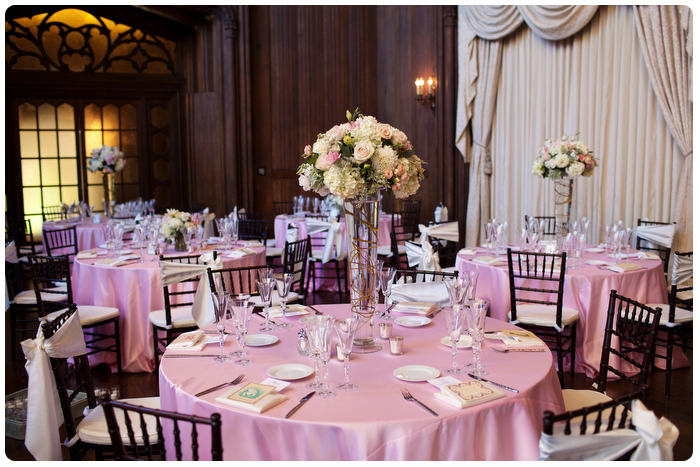 The color choice mirrored the regality of the dark wood ballroom. Mahogany chairs complimented the table lines and our ivory shantung chair sashes served to bring the table design color concept to completion. 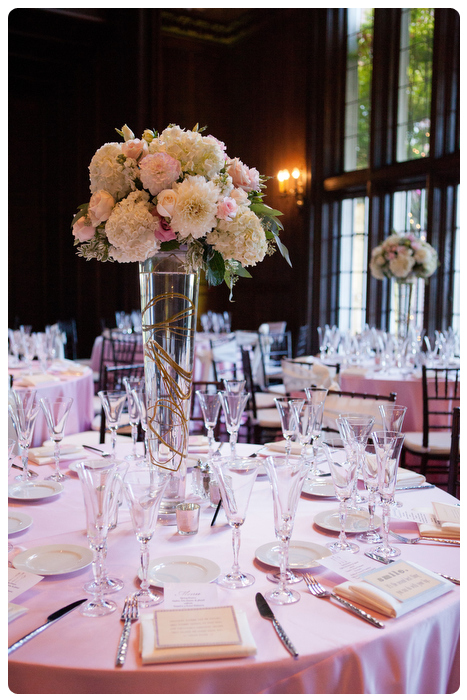 These tall floral arrangements were conceptualized and designed by Vanda Floral Design. Soft blush and ivory flowers were paired together in a tall vase, entwined in twig and surrounded by mercury candleholders. We have promoted Vanda Floral Design on this blog before, but incase you missed it; you can view their portfolio over at www.vandafloral.com. The sweetheart table for the wedding was covered in the popular Isabella linens provided by La Tavola Linens. The bride selected a champagne color to make the sweetheart table stand out and also match the colors of the bridal bouquet. 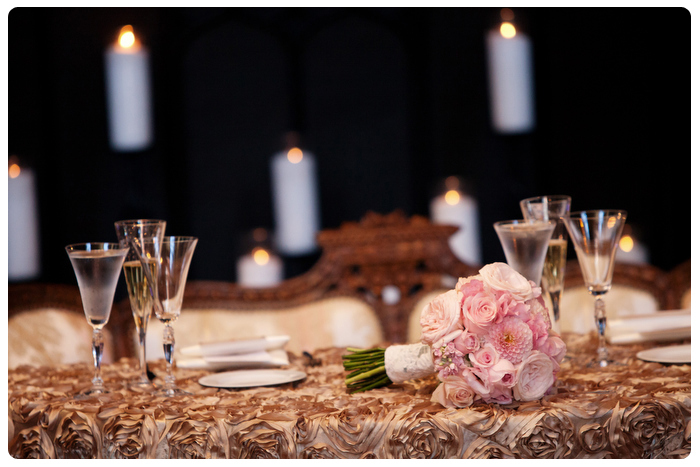 For each of the guest’s tables, we used our ivory shantung napkins paired with our hammered flatware. 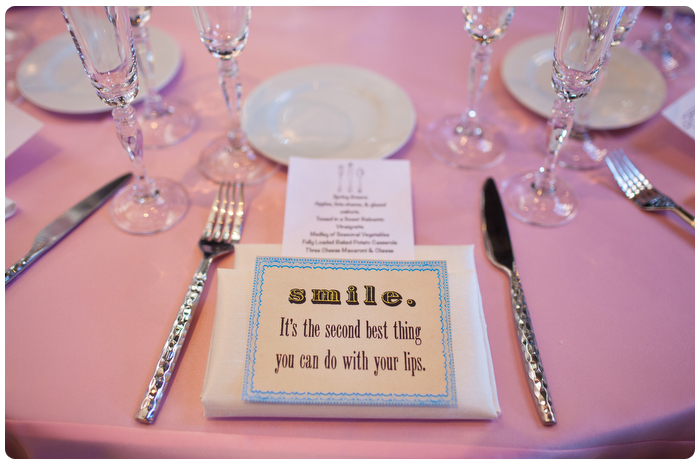 The bride and groom added their own unique personalities to each table with cute quotation cards at each place setting. One of our Encore Events Rentals employees designed the lighting for the event. 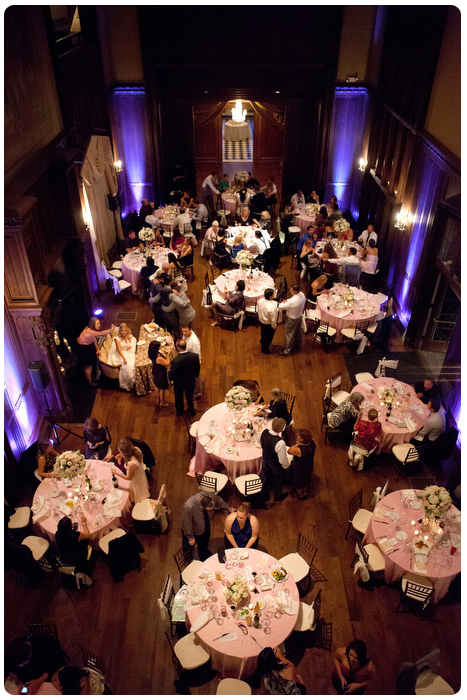 The placement of the warm illumination created a unique and intimate ambience in the high ceiling, dark wood ballroom. The outside bar area was an inspired idea. 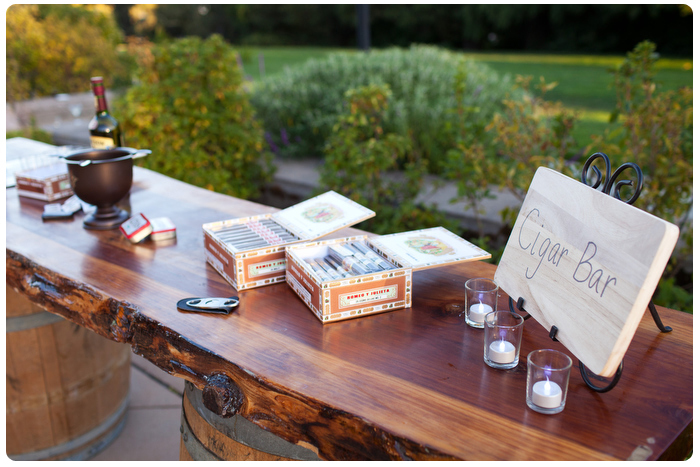 The couple used our wine barrel bars to create a cigar bar for the guests to enjoy and take a moment of reflection during the day. Our wine barrel tables were complimented by lounge furniture provided by Pineapple Planet. A big thanks to Lisa at Amy Bridge’s Events for assisting with all the details for this wedding. To find out more about them, check them out at http://amybridgesevents.com. All photos shown here are compliments of Summer and Boyd Photography, who did an amazing job at capturing these special moments. Take a look at their impressive photography portfolio over at www.summerandboyd.com.